Yeah. Waddaya want for 135k, a palace in move-in condition?? 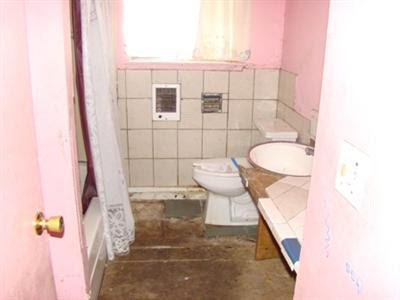 Tough to decide which photo to go with on that listing! This place is smaller in sq ft than our apartment...move back to Queens! What happened!?! I'm not sure an elephant locked in the bathroom could cause more damage... And the frilly shower curtain isn't going to hide it.